Hello, there! My name is Victoria Dühring. Wife, Mama since February 2018, Daughter, Sister, Aunt, Cousin, Niece, and Friend. Elder Millennial and 90’s baby. Texas born and bred; resident of South Africa. Macintosh product and software advocate. Lover of all savory foods, and a big glass of sweet iced tea on a wrap-around porch. I blog about all, some, or none of the above. “A bird in the hand is worth two in the bush.” <- And that’s why I don’t gamble. I am a native born, proud Texan; The Hill Country is my home. I grew up on a large working ranch in Southwest Texas near a small agricultural town with a great atmosphere and strong community. When I was 18 and just finishing up my first semester of college, I met my now husband, Siegfried “Ziggy”, a professional hunter visiting from South Africa, through a mutual friend in the teeny town of Brackettville, where I attended elementary school. We instantly fell in love and from that point on were inseparable. While both attending college for the next two years, we lived together in utter bliss in a tiny apartment on a horse farm in the country. The following two years were spent in a long-distance relationship due to him finishing his degree and therefore the expiration of his F-1 Student Visa. 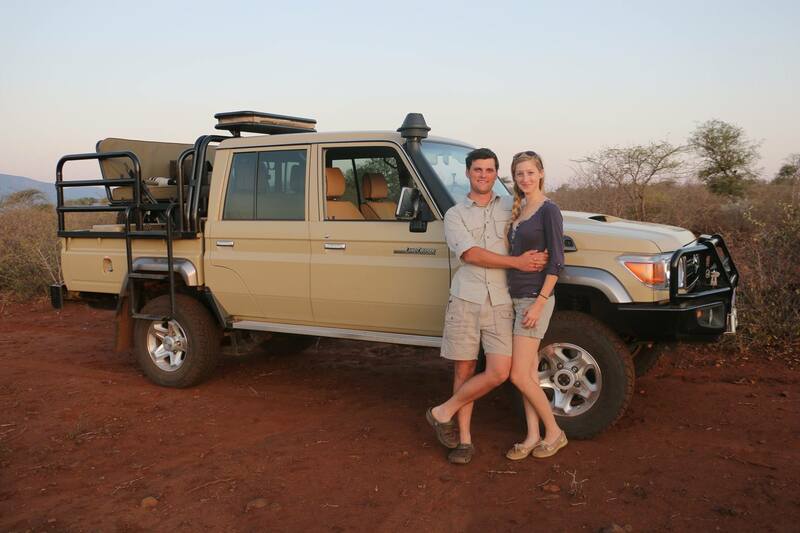 After countless hours of Skype calls and several international visits, we (he) made the big leap in 2013 when he proposed – shortly thereafter I packed all of my material possessions and moved to South Africa to start the paperwork process of getting married. We were married in March of 2014 at Shokran Wedding Venue, just east of Pretoria. At first, it was a daunting thing to be living amongst a society that varied so much from my bible-belt, small, Texas town. But I am happy to report that I truly delved into the South African culture and love it immensely. I still blare my country music (God bless Randy Travis, Loretta Lynn, George Strait, and Aaron Watson) throughout our house, and whip up Mexican food on a regular basis, but i’ll also sing along to Bobby Van Jaarsveld while heartily enjoying a pannekoek, pompoenkoekjes, of ‘n lekker potjiekos. 2015 especially, was a year of change in many ways for me. I really felt like I became a ‘Suid Afrikaner’, I had the opportunity to make true friends in the Pretoria area, I took up some hobbies such as doing my pilates instructors’ course and buying a piano, mastered driving on the left side of the road, had braces put on at the age of 24, truly became proficient in the Afrikaans language, and grew in many ways that I never thought possible ….and then, my husband received his permanent residency to the US, so we moved back to Texas. Moving back to Texas had many unforeseen challenges. I truly had to re-acclimate to the small-town Texas lifestyle, and even had to retrain myself to say the ‘Texas words’ instead of the British/South African slang English words, such as ‘Dust Bin’ and ‘Robot’. 2018 brought even more changes to our lives when we grew into a family of three in February by welcoming a son named Owen! 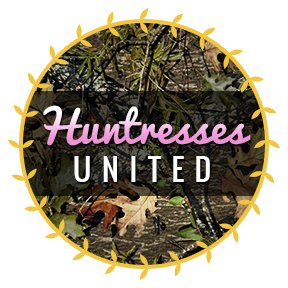 As for business, we have several that are involved with the hunting industry in South Africa and worldwide. We greatly enjoy the life we lead, which takes us all over the world, making friendships with many different people from a variety of cultures and backgrounds. In our free time, we enjoy being active participants in IDPA (International Defensive Pistol Association) competitions, spending (lots of) time at the shooting range, travelling, sightseeing, fishing, riding our mountain bikes wherever we can, and being frequent movie-goers. I am always up for hearing comments of encouragement, the general ‘hello from _____’, or whatever question you may have. Feel free to contact me by going to the “Contact” page. Thanks for stopping by! I hope you stay tuned for all to come! Welkom by my lewe, ‘n hoe gaan dit met jou? Please visit the “Site Disclaimer” page for the full terms and conditions. For some personal quirks and traits see the “Personal” category. What an amazing story! Super cool blog for a super cool person, it would seem! Thank you! We love our story and are very thankful to have ever met and to be together! I just found a comment that you left ages ago and it was in my spam. You were asking how I changed the name of my sight. I am hosted by Blue Host in correlation with WordPress. Are you still in SA? Hey, Jamie! I am actually back in the US- my husband received his permanent residency here, so we technically moved back- yet another reason to change my blog name. :) I think that if and when I upgrade to the paid platform, then I have the option to change my name. Hope all is well! Hi there, perhaps you have the wrong person. I don’t remember asking about a site name, but when I went back to my original comment, it was on the Texan in South Africa blog. I have unfortunately never lived in SA, but I am currently living in Bangladesh. Thank you! “What happens to mommy when she gets to three.” Lol- love it! Followed your blog back! One day, we will have little feet running though our house, too! They are truly a blessing. I lived a lot of life before I had my first at 36 and my last at 39. My teenager is my step son but his mother is nowhere in the picture and I have raised him since he was 8 and is now 15. I think you are doing everything right by living out your dreams first. I write about various things besides motherhood. Usually using a lot of sarcasm and tongue in cheek humor. Thank you! Just read your About, and believe it or not, my older sister who is 10 years older than me, (34) ALSO had three children in three years. For the past three years, every time I have come back home the newborn I met the year before would be a toddler and there would be another newborn! I’m a lover of sarcasm and puns, so i’ll be sure to pay attention to your posts in my reader as i’m sure i’ll enjoy them! 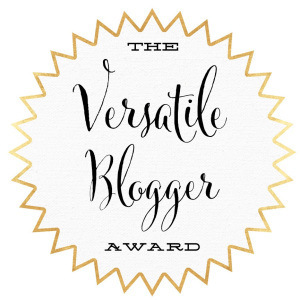 I am interested in the other awards mentioned on your blog, the Liebster, Blogger Recognition, and One Lovely Blog- are those about the same as the Versatile Blogger being nomination based and like a run-on chain? The Liebster, Recognition, and Lovely Blog are all of the same sort as the Versatile. The rules vary a little bit, but I think that people frequently tweak them when they repost, so I don’t know how any of them were in there original form. Jinne – maar jy skryf oulik Afrikaans! Hou so aan. Nee, dit sal my nie pla as jy oor jagverhale skryf nie. My broers en hul vrouens is baie lief vir jag op hul plase. Maar, ekself verkies meer photografie, en is emosioneel intens lief vir die diere. Ekself jag nie. Die meeste fotos op my blog is geneem op Edeni Private Game Reservaat. Geniet jou vakansie en kom gou veilig terug. Welkom in Suid Afrika! Love your stories and photos. Its good to be part of ‘n Sel groep and finding a church. Mad about your animals. Hallo! Dankie- mar ek het bly hier vir twee jaare, so, ek is nie a vreemdeling tot Suid Africa nie. :) Dankie dit jy het gekom by my klien stukkie van die web af. Ons Sel Groep is baie awesome en ons waardeer hulle baie. Ons is ook mal oor ons diere, en daar is nie a mooier ding in the wêreld as in die bosveld te vees. Ek sien dit julle bly naby Hoedspruit af, dit is een of my gunsteling plekke in the hele van die land. Dit is so, so mooi. Ek hoop julle het nie to veel skade van die hail storm op Sondag nie. Ek het a bietjie van jou blog gelees, en het a klein vraag vir jou.